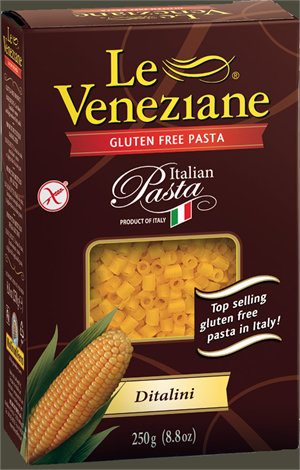 We love this pasta for soups, it does not get mushy and you would never know it is Gluten Free. I alwasy try to have it on hand. Ordered varieties of gf pasta a few months ago. Have enjoyed all of them. The ditalini was wonderful in pasta fagiole. It didn't get mushy when a leftover bowl was reheated. Tasted wonderful! This is a wonderful pasta. I made Pasta Figioli for a gluten free meeting. This is the first time I had the soup in many years. Everyone loved the pasta & asked what brand. I am emailing the recipe & your company website to order. Thanks for the pasta. Great for soups- holds up to repeated re-heats. We love this one. This is the only GF pasta I have been able to find Ditanlini in...they are wonderful! Tastes great in soup and these are my kids new favorite to make mac n cheese!